PULLMAN – Washington State University has set in motion a plan to help the school’s athletic department balance its budget and eventually climb out of a cumulative deficit that’s projected to reach $84.9 million by the end of fiscal year 2023. The budget strategy, contingent on media-rights fees, record donations to the Cougar Athletic Fund, improved ticket sales, corporate sponsorships and a spike in student fees, will be presented to the WSU Board of Regents at a retreat at the Willows Lodge in Woodinville, Washington, from Thursday to next Friday. WSU will ask that the Board of Regents approve the school’s 2018-19 athletics budget, approve the plan for reducing the operating deficit in future years and allow necessary transfers to cover the deficit balance at the end of the 2018 fiscal year. 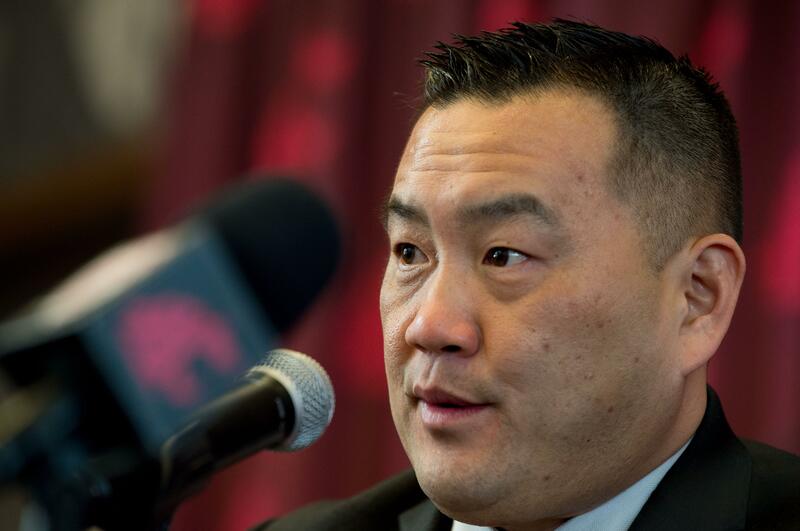 On a conference call with reporters Thursday afternoon, athletic director Pat Chun and WSU Chief University Budget Officer Joan King addressed and further detailed the blueprint they believe can help the department break even by the 2023 fiscal year. Once WSU manages to balance the budget, it will shift its focus to building reserves, repaying central reserves and working to eliminate the total athletic department debt. WSU’s strategy is dependent on increasing revenue 27 percent by fiscal year 2023. A portion of that may stem from a rise in student fees, which would need student approval. The athletic department’s financial projections are made with the presumption that those fees could double – they currently account for $1.6 million of the revenue stream – by fiscal year 2022. WSU students currently pay a $25 stadium renovation fee per semester. That could be an uphill challenge, though, as students have balked at the proposal of an increased student fee, citing the athletic department’s financial irresponsibility when administrators raised the idea of a possible $50-per-semester increase in 2016. WSU is also anticipating a noticeable boost in revenue generated from media rights, which currently account for $19.6 million of the annual revenue. According to calculations, that number could rise to $25.2 million by the end of fiscal year 2023. The Pac-12 Networks’ media rights deal extends through the 2023-24 school year. Chun, a renowned fundraiser at both of his prior schools – Florida Atlantic University, where he was an AD, and Ohio State, where he was an executive associate AD for external relations – is also confident an upswing in donations and gift-giving could contribute to eliminating the deficit. WSU has already noticed a drastic increase in donations to the Cougar Athletic Fund, which have reached a record sum of $6.4 million for the current fiscal year. That signifies a 25 percent increase. Chun is also counting on the addition of various corporate sponsorships, but didn’t provide any details as to where those might come from or how much revenue they would produce. “Really, when I look at where we’re headed, it’s the fundraising piece and the corporate sponsorship side is where a lot of (the revenue) will be generated,” he said. WSU also sees opportunity for growth in ticket sales – not particularly from the school’s pre-eminent sport, however. Gate sales at home football games have hit record numbers and are up more than $5 million from fiscal year 2010, though ticket revenue is limited by stadium capacity and Martin Stadium, which seats nearly 33,000, the lowest capacity of any football venue in the Pac-12 Conference. Chun does see plenty of untapped revenue at Beasley Coliseum, which lists a seating capacity of 11,671, but brought in just 2,886 fans for home men’s basketball games in 2017-18 – lowest in the Pac-12 – and 729 for women’s basketball games. The athletic department is already working with the lowest annual operating expenses in the Pac-12. WSU consistently spends less than any other Power Five conference program in the country. Chun calls WSU “the most efficient” athletic department at the Power Five level, based on annual operating expenses and expenditures, which both rank lowest in the Pac-12 and in the country (Power Five schools only). At the end of the current fiscal year, which expires on June 30, WSU anticipates a cumulative shortfall of more than $68 million. To bring the athletics deficit to zero dollars at the end of the fiscal year – something that is required for all state institutions – the department will lean on transferred funds from WSU auxiliary departments that carry the largest positive balances. Those funds will be restored when the next fiscal year begins. WSU projects a cumulative deficit of $74.8 million at the end of FY 2019, $80.1 million in FY 2020, $83.1 million in FY 2021 and $85.1 million in FY 2022 before finally breaking even, and reaching a single-year surplus, in FY 2023. The current debt can largely be traced to the commitment – important, albeit costly – that former AD Bill Moos made to enhancing WSU’s athletic facilities, most notably the addition of a $61 million football complex. Economic downturn at the time didn’t help, slicing institutional support received by the athletic department, and the revenue earned from the initial Pac-12 Networks deal fell well short of initial projections. Published: May 31, 2018, 10:23 a.m. Updated: June 3, 2018, 8:53 a.m.